Interested in use an elastic, highly-available SQL Server in the cloud without worrying about making any code changes other than pointing your application to the cloud datasource? Introducing Azure SQL Database Managed Instance – the first SQL DB service in the cloud that enables SQL Server users to migrate their data to the cloud & connect their applications to the cloud database seamlessly without worrying about previous blockers like SQL CLR, SQL Server Agent, Cross Database Queries, etc. 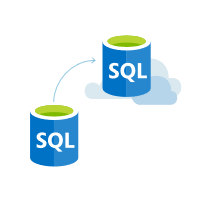 Azure SQL Database Managed Instance combines the best aspects of SQL Server and Azure SQL as a platform service. It enables you to run applications with dependencies on SQL CLR, SQL Server Agent or cross database queries like you would on a physical or virtual server running SQL Server, but as a managed instance you get the as a service benefits so you don’t need to spend time keeping servers patched and up-to-date, plus machine learning powered capabilities like auto-tuning to improve query performance and proactive security recommendations. Lara Rubbelke explains and demonstrates all of this, including how you can set up you own Azure SQL Database Managed Instance in this show.